Katie Todd is Assistant Director of Communications and Strategic Operations at Pace University's Seidenberg School of Computer Science and Information Systems. 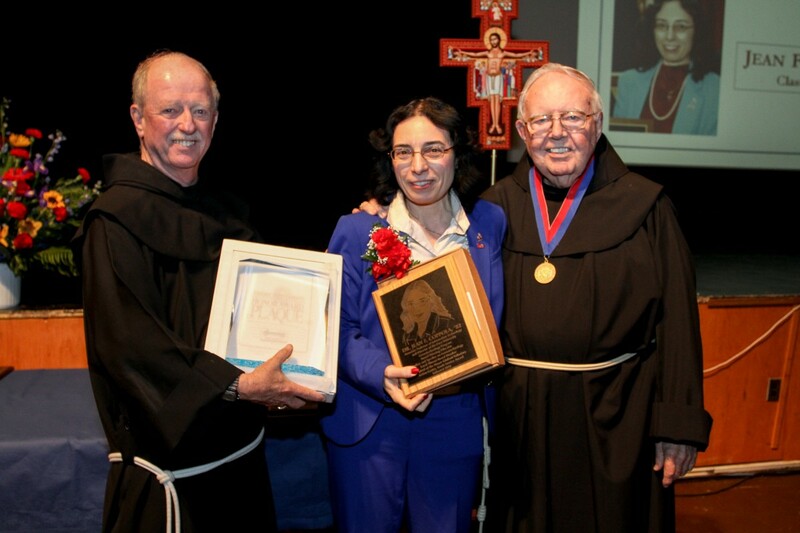 Dr. Coppola was selected due to her significant lifetime achievement and service, much of which has taken place here at the Seidenberg School. Dr. Coppola directs our gerontechnology research and oversees the annual Mobile App Development Bowl, a massive event that sees teams from high schools and universities across the region compete by building apps to improve the lives of aging populations. 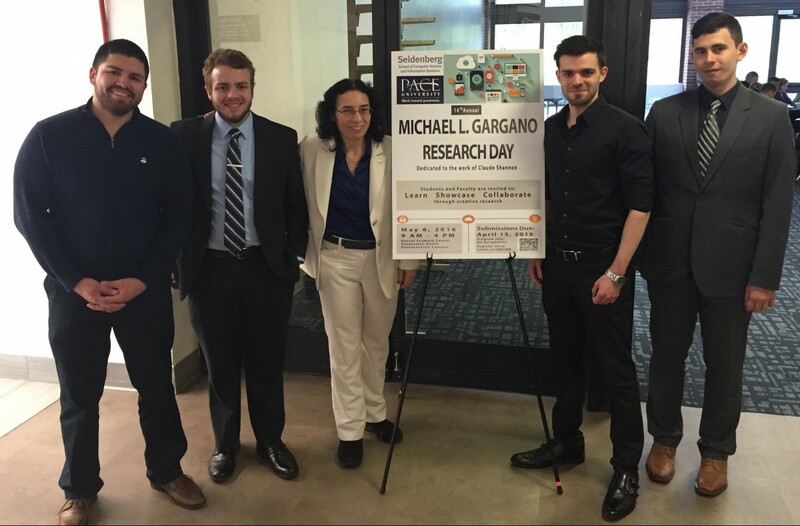 The Seidenberg School opened its doors to the 14th edition of the Michael L. Gargano Research Day Conference on Friday, May 6th. 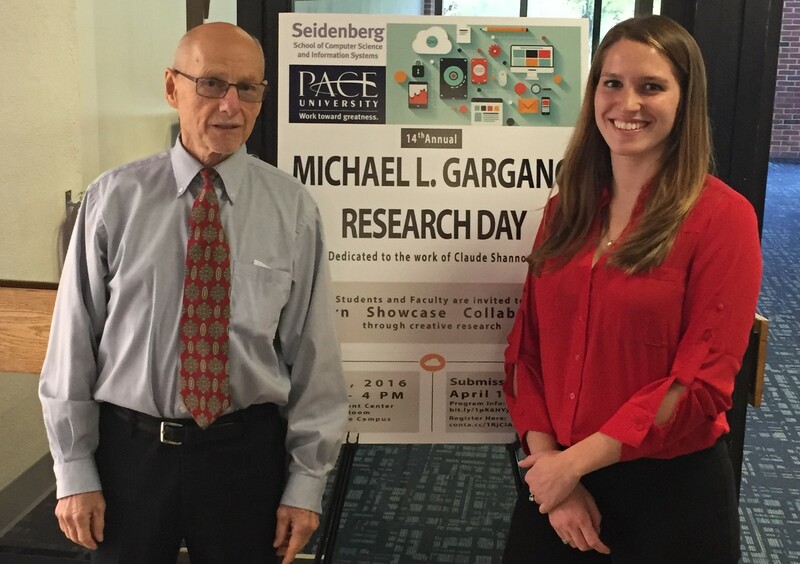 This student-faculty conference provides the Seidenberg community with an opportunity to share research. This year’s event set a participation record: 42 papers published in the conference proceedings, including 60 doctoral, 84 masters, and 10 undergraduate student authors. 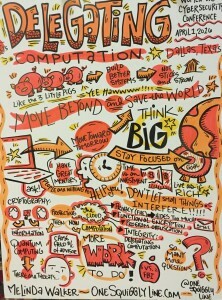 Of these papers, over 25 were presented at the conference. From biometrics and security to knowledge representation and optimization, big data and the internet-of-things, the presentations covered problems in diverse domains including security, education and healthcare. This signature Seidenberg School academic event could not be possible without the commitment and enthusiasm of computer science professor, and conference chair, Charles Tappert, PhD. Dr. Tappert serves as research advisor to many doctoral students, and also runs undergraduate and graduate capstone courses on the Pleasantville campus. Since this is an annual Seidenberg event, why not take part yourself next year? We will be looking for submissions in Spring ’17, so now is a good time to start! 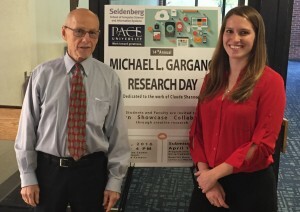 The Michael L. Gargano Research Day is named after the late Seidenberg computer science professor, Michael L. Gargano, a passionate researcher and valued research advisor, particularly to students in the doctoral program. As a student in the Seidenberg School you have ample opportunities for professional and personal development, and adventure! 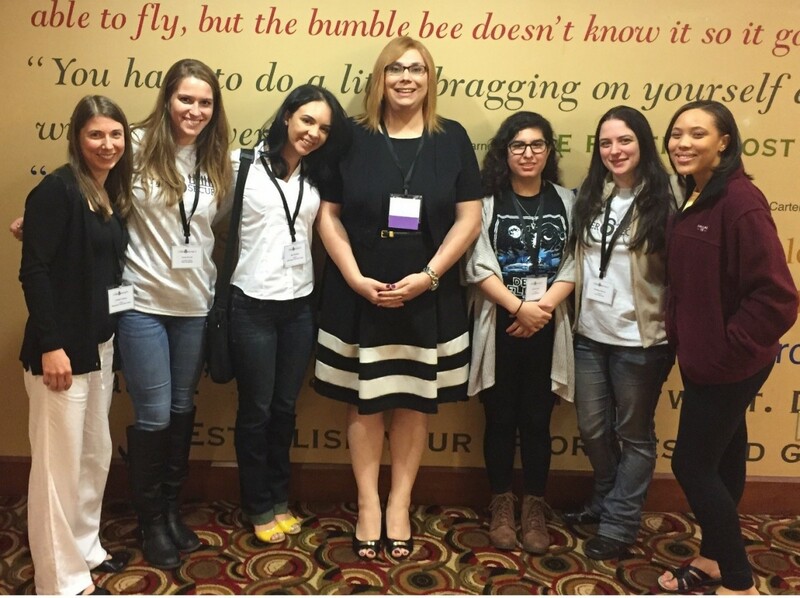 Along these lines, a Seidenberg team attended the 2016 Women in Cybersecurity Conference (WiCyS) in Dallas, TX last week. 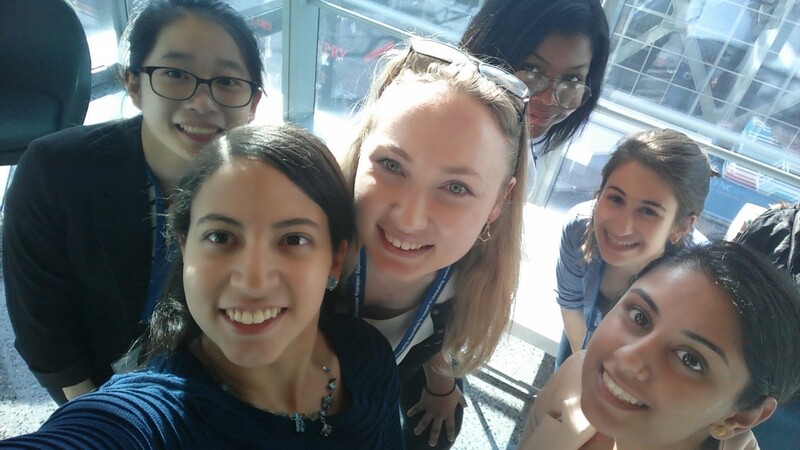 The team, comprised of amazing students pursuing degrees with a cybersecurity focus, included Alexa Piccoli (MS/CS’16), Norissa Lamaute (MS/CS’17), Siobhan Kiernan (BS/IT’17) and Adriana Aluia (BS/IT’18). In addition, the team also included Lindsay Peckham (AAS/Cybersecurity’17) and Sara DaCosta (AAS/Cybersecurity’18) from Westchester Community College, a Pace Cybersecurity Academic partner. 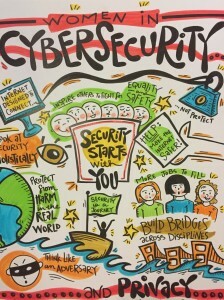 Not only are women underrepresented in the IT field, but a report sponsored by ISC2 and Booz Allen Hamilton found that in 2013 women made up just 11 percent of global cybersecurity workforce and only nine percent were in senior leadership roles. 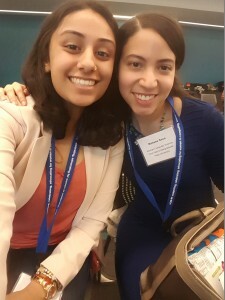 It is in this context that WiCyS aims to bring together female students, faculty, researchers, and professionals in cybersecurity for knowledge sharing, networking and mentoring. The conference aims to raise awareness about the importance and nature of cybersecurity careers and to generate interest among students to consider cybersecurity as a viable career option. 2016 WiCyS had great energy and blended both academic and professional speakers and content. The conference gathered more than 700 attendees! The tech talks included reverse engineering, cyber criminology, perspectives on research, exploit development, cyber-physical system security. Other professional talks covered tools and strategies for education as well as workshops oriented toward specific career tracks in cyber security. A job fair with over 30 prominent employers and numerous “networking socials” provided students with the opportunity to learn specifics about the skills in need in the industry, and in many cases get job offers on the spot. 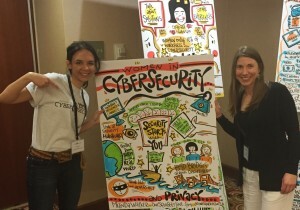 One take away from the WiCyS conference was the ample opportunity and support for women in cybersecurity. While the statistic showcase the dramatic lack of women in this field, it felt great to be in a place where women in cyber were encouraged to do great things. I really enjoyed the key note speakers from various top companies and felt empowered and driven to one day be at the level they are at. I got to meet many academics and professionals who offered guidance and reassurance that this is what I want to do as a lifelong career. I learned that it is okay to feel confused at times, and that if you keep working hard, you can reach your goals. I was inspired to take on new opportunities and dig deeper into my school work and cyber related topics. Lindsay Peckham (AAS/Cybersecurity ‘17, Westchester Community College): There were so many inspiring moments that it’s difficult to choose only one so I would love to share two items that have stuck with me since returning home. First, the field of cyber security offers everything I desire in a career: technology, cutting-edge ideas, innovations and helping others but there are many specialties within the field that I had to be exposed to and barely understood in the real-world sense. Personally, the conference offered me a way to navigate the many career opportunities in this field. 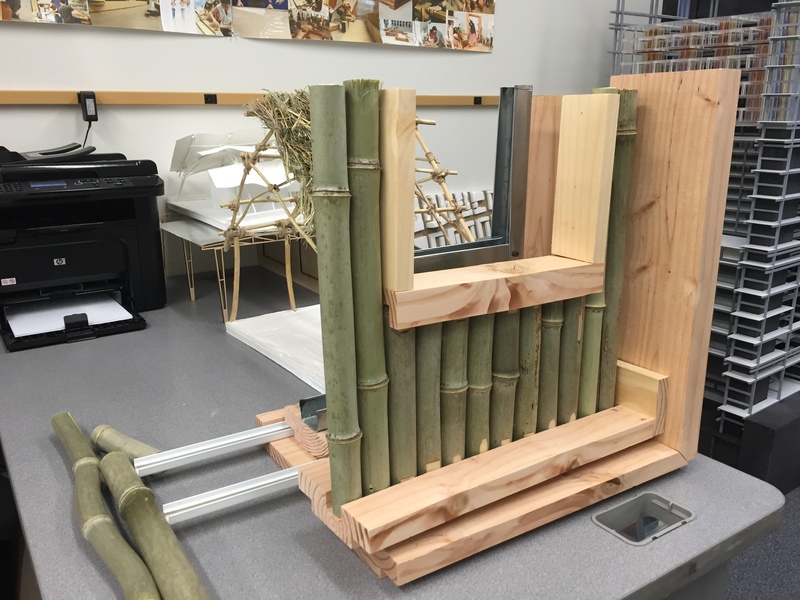 Through anecdotes, insightful speeches, networking opportunities and plentiful resources, I spent nearly 3 days putting myself in the shoes of others and thinking about how that career specialty may suit me in the future. Second, one of my hopes for attending WiCyS was to learn about what other schools are doing for their cyber security clubs. It’s been one of my passions at WCC to improve and grow our club in meaningful and exciting ways. Attending the “CyberSecurity Club: 101 from Inception to Installment and Beyond” workshop gave me an opportunity to see what other colleges, both community and university, are doing in their clubs. […] I am very excited for 2016-2017 school year because I think some really neat changes are going to be made! Many thanks to Dr. Li-Chiou Chen and Andreea Cotoranu for making this experience possible! 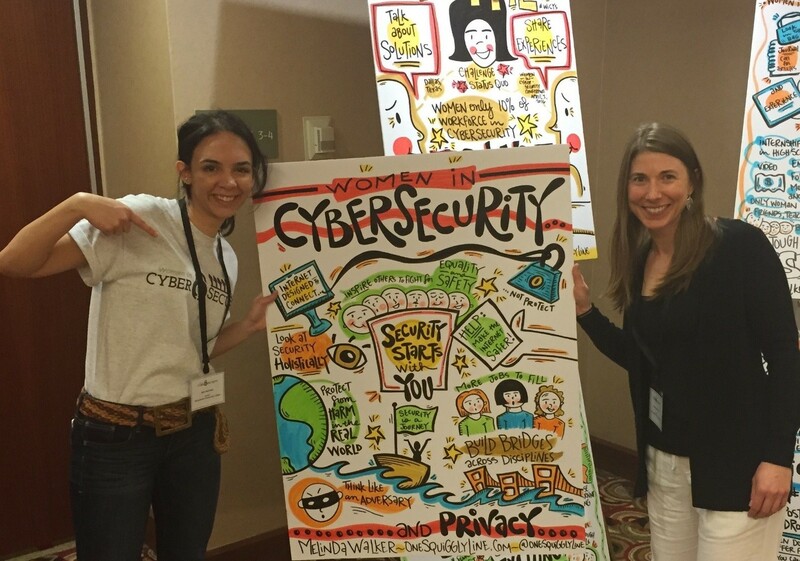 Are you working on cybersecurity related projects and have an interest in attending the next edition of WiCyS? 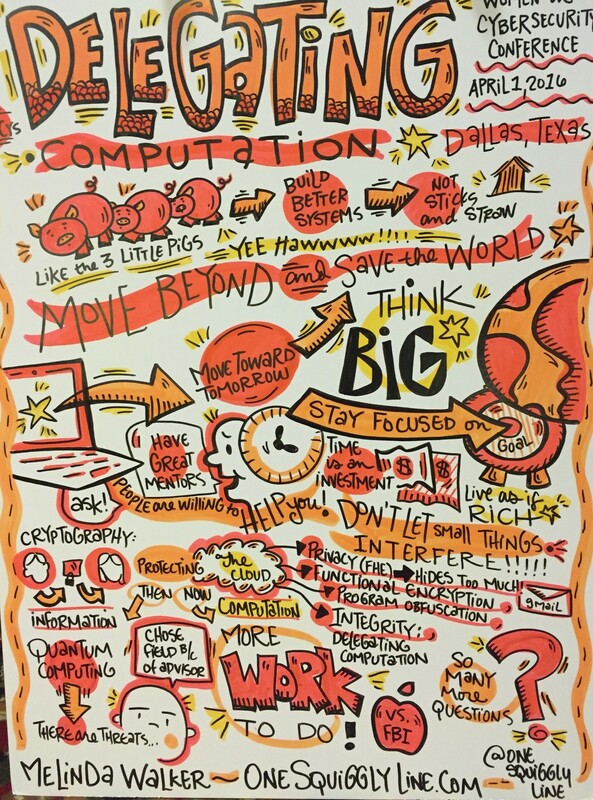 Submit a research poster or just apply for a scholarship to attend the conference! Contact Andreea Cotoranu for questions related to future participation in this event. 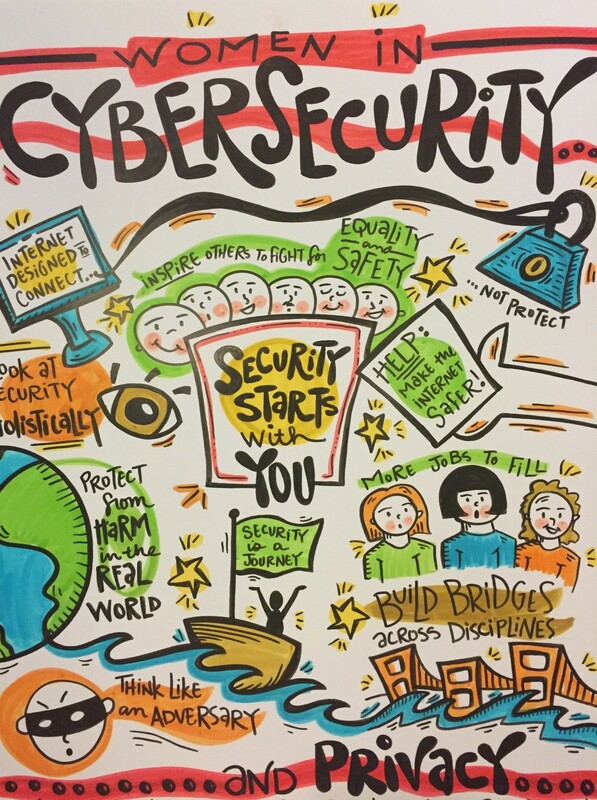 Interested in learning more about cybersecurity? No problem! The Seidenberg School invites you to take cybersecurity courses, join the Pace Cyber Team, or apply for the CyberCorps scholarship program! 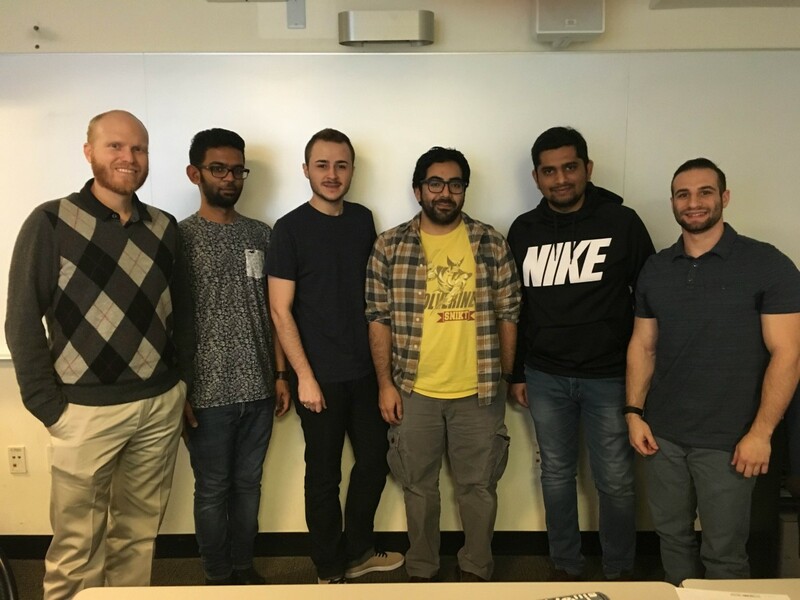 Recently, I had the privilege to interview computer science students from Pace University who have been working relentlessly, in collaboration with architecture students from NYIT, on a project called AppDock. Their main focus is to provide opportunities to developing countries with a way to understand and use mobile apps that can help improve their life quality and standard. “We focused our research on Senegal where I have been doing my research for seven years now ” says Dr. Christelle Scharff, NYC Chair of the Computer Science Department and Director of Pace Mobile Lab. 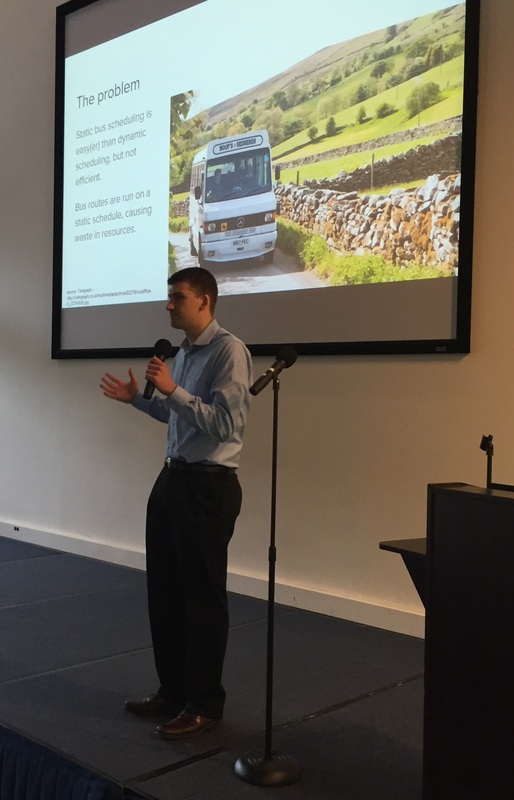 Dr. Scharff explains how “AppDock creates a trustworthy, physical environment where local developers and end users can connect on a community level.” Exchange of information between developers and users will promote improvements to app quality and relevance. Dr. Scharff notes that AppDock “will also permit users to become educated on the notion of apps, in general”. Even though mobile subscriptions in Africa are over 650 million, locally developed apps are not being used because either the people are not aware that they exist OR they don’t know how to or why they should use apps. App is not part of the everyday vocabulary in developing markets. In addition, there is a disconnect possibly on what the apps do and what the local needs are. An adjustment is needed to better understand app features that can benefit the general masses in their day-to-day lives. This sounds interesting! How are you going to get the locals to use it? AppDock has been designed as a space with mobile carts where locals can explore a variety of mobile apps right in their own neighborhoods. It contains various tablets that showcase local apps. The carts are biked through cities and villages to reach remote areas. 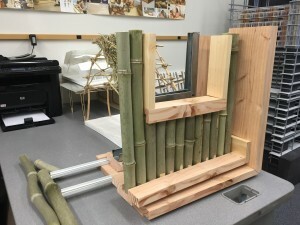 The architects and developers attempt to create a convenient space where people can congregate, exchange ideas, and learn about these applications that can improve their lives in general. The proposed space will fold out into a huge dock, similar to ones that we see in mobile stores such as Verizon and AT&T, and will have phones provided for people to try each of the new apps they see on the screens. – Andrew Greenberg, a member of the Pace Mobile Lab group. Each of the screens will advertise the top eight apps of the month that are hot and trending. Also, while each person is learning about how each of the apps works, they can charge their own phones on a charging station and access the wifi that will be provided in the dock. This way, they can spend more time learning at the dock! I know right?! SO COOL! You said it was a collaborative process, right? I did! 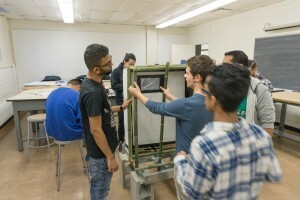 Computer science students from Pace University (pictured above) teamed up with architecture students from NYIT to get this project up and running. 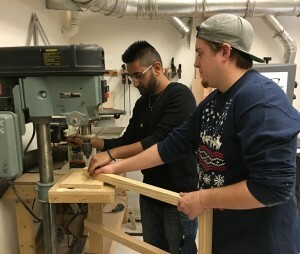 They started this idea in the Fall of 2015 while enrolled in a course entitled “Mobile Solutions for Global Challenges” and have been working on it ever since. The students from Pace University are focusing on the digital aspect of the project while the students from NYIT are working on the physical aspect (the structure). “It’s interesting to work with students from other disciplines because we are working with different mindsets and we can see different approaches to solve problems”, says Andrew.